MBA Director Michael Callahan spoke with us about the unique features of the online MBA at UNOH. Our online students come from a variety of backgrounds and industries and from across the United States. Though they bring diverse perspectives to the program, they’re all working professionals looking to develop advanced business skills in a format that suits their working and personal life. As a result, there is no “typical” student. However, the straightforward curriculum and overall convenience of the online program tends to appeal most to those interested in maintaining a positive work-life balance while pursuing their MBA. To serve this dynamic audience, the program is designed to remain affordable and accessible. With no GMAT or GRE score required for admission, the program offers an opportunity for business professionals from all walks of life to reach new heights in their careers (assuming they meet the program’s admissions standards). No, the program can be completed 100% online. Of course, we encourage our distance learners to visit and participate in on-campus activities, but it’s not a requirement of the program. Students have direct access to faculty members through several channels, including instructor-led online discussions. If they have a question about their assignments or need individual assistance, they can contact their professor via email or through the online learning platform at any time during a given course. Our faculty members quickly address any correspondence with online students. 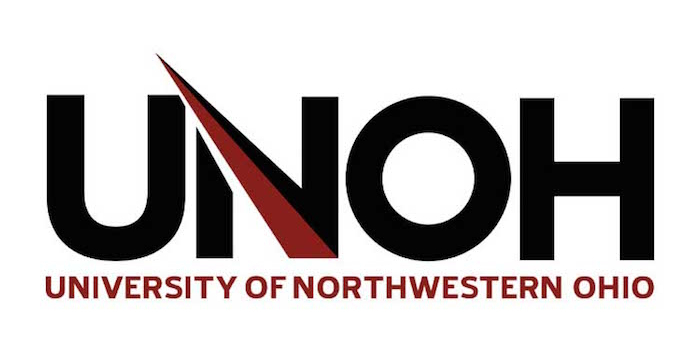 The UNOH online MBA uses a flexible structure that allows students to create their own schedule, which is one of the many advantages of pursuing online education. Without pre-determined lecture times, students can work through courses as their schedule permits. As such, students can finish the program at their own pace, with some graduating in as little as 18 months. Our online MBA program is specifically designed to be a practical, affordable option for full-time professionals. With that goal in mind, we’ve been able to create a course of study that represents an effective blend of relevant, high-quality courses and flexibility. Active participation in discussion boards and close interaction with faculty are a major priority in UNOH’s online MBA program. We have several online learning tools that encourage students to connect with one another through group projects and open class discussions, allowing them the opportunity to make lasting connections with students around the country. In some cases, an online format allows for even broader networking capabilities, as students that participate in the program can come from all over the country. Yes, we do. Online students and alumni have access to the career services as our on-campus community, which includes job search assistance, professional tutoring, and resume preparation, among others. First and foremost: our faculty members know the degree of commitment it takes to pursue online education. We strive to provide individual support to each of our students. Should you have any concerns or questions about a given assignment or topic during your time as a student, don’t hesitate to reach out to your instructor. They’re always available to help. Earning your MBA online at UNOH requires the same level of dedication and focus as an on-campus equivalent. With no classroom environment, success in online courses requires drive, self-motivation, and daily engagement with the program. Organization and discipline are also essential. It’s helpful to frankly assess your schedule, both professional and personal, and find the time that suits you best during each week to complete assignments. Once the schedule is made, get in the habit of sticking to it, making your studies a priority for whatever amount of time you need. Depending on your learning style, you may find shorter, more frequent study times more feasible than longer sessions. Experimentation in this regard can help you find a schedule that’s productive but still fits nicely into your other obligations. As a student, you’ll complete an orientation process that can help you acclimate to the level of work required, develop effective study habits, and become comfortable with our online learning platform. Additionally, we offer tutorials and webinars at the beginning of each term to prepare you for the learning environment of each course. These resources can be incredibly helpful, so active participation is encouraged. Beyond that, we strongly recommend that students come prepared to work hard, but also to enjoy the benefits of a more flexible, convenient style of learning.